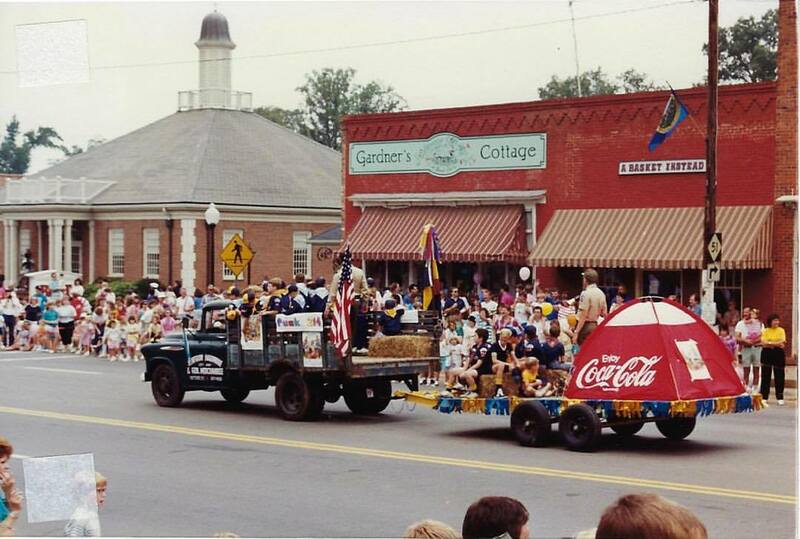 Matthews’ annual Stumptown parade, circa 1989, back when this was truly a small town! 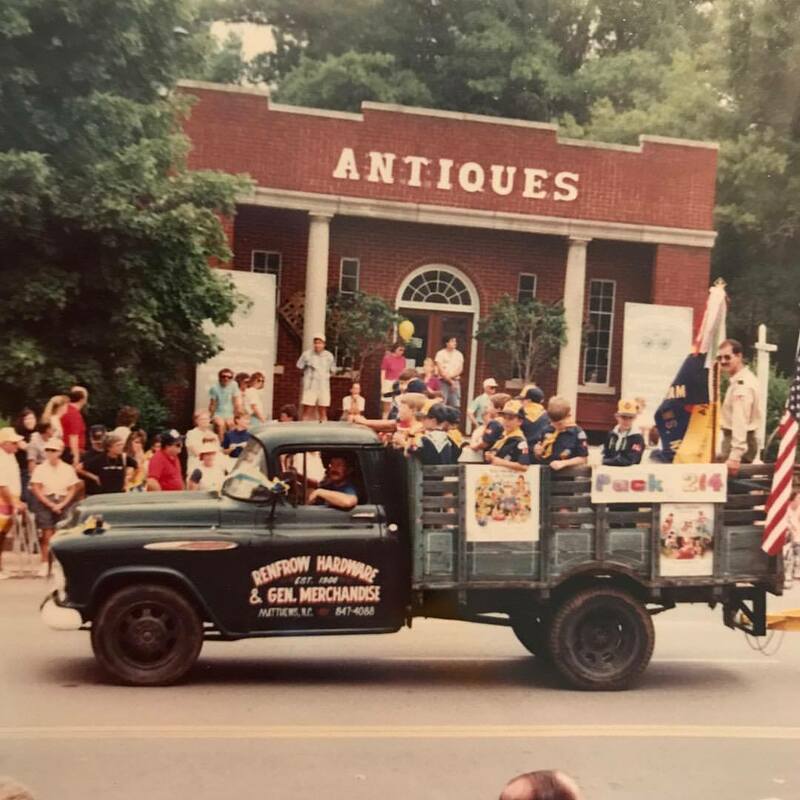 We’ve preserved many gems like this photo throughout the past 33 years of Renfrow Hardware history under the Blackley’s ownership. And we also have many relics from the decades beforehand! We are excited to share more bits and pieces of Matthews history with you each week on this blog and on our social media profiles – Facebook & Instagram. Here’s another view of the Renfrow truck as our friend Tim Fincher paraded it with his three sons’ cub scout pack in tow. It’s crazy to see how much this side of Trade Street has changed – the bank is no more, and all of the shops and restaurants are different. Matthews grows and changes daily, yet it still retains much of that small-town character and charm that is largely gone from Mecklenburg County. Aren’t y’all proud to call this place home?! This post was the first in our weekly #RenFrowBackThursday history series, where we reflect on various pieces of history of Renfrow’s, the town of Matthews, and their beloved customers and citizens.